Have you heard of Pure Beauty before? 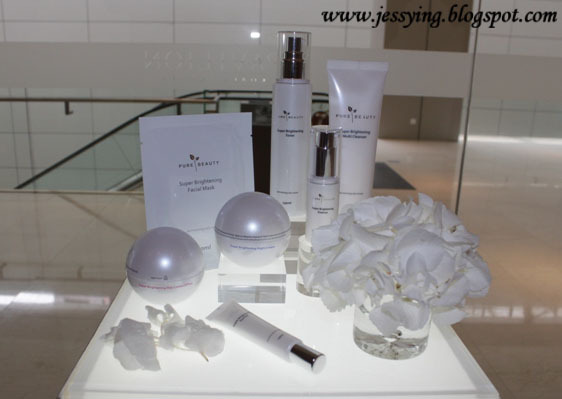 Well, Pure Beauty is a Watson's revolutionary skincare line from Korea has harnessed the best of nature and technology into a revolutionary skincare line that's specifically tailored for Asian skin. This Key Benefits are : Provides anti-oxidant, effectively protect skin from free radicals, prevent skin cell damage from environmental pollutants, detoxify, neutralize, refresh and energize your skin. 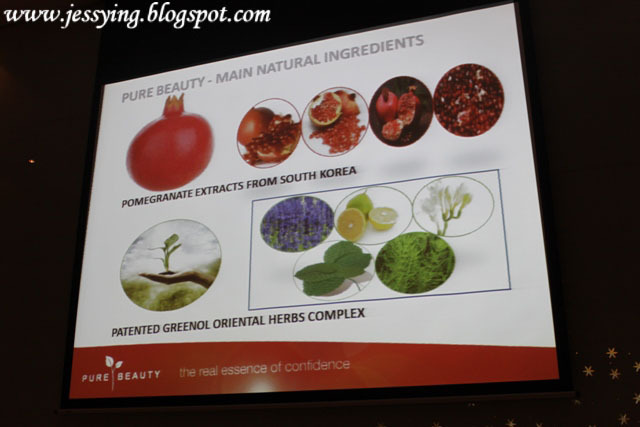 Their main ingredients are Pomegranate Extracts from South Korea and patented Greenol Oriental Herbs Complex. 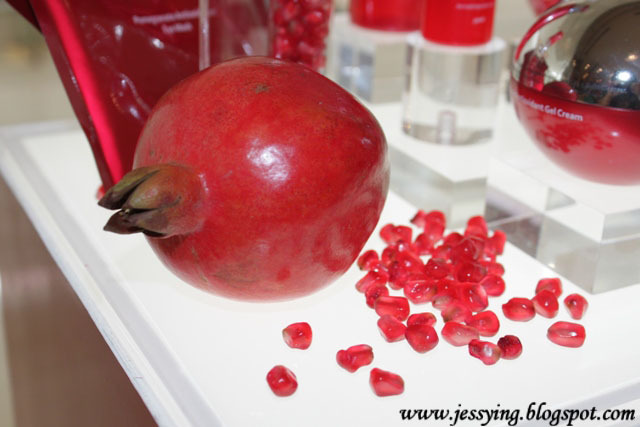 Rich pomegranate extract protects skin from wrinkles while Patented Greenol Oriental Herb Complex helps to restore skin's elasticity and make skin smooth and supple. 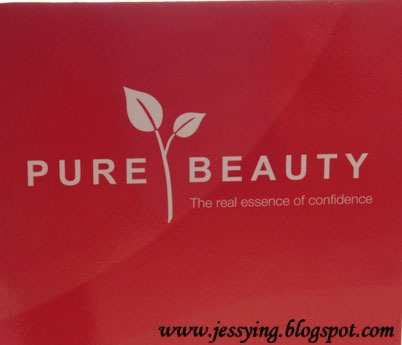 Pure Beauty Super Brightening range which will help to hydrate,refresh,protect and visibly brighten your skin, all while leaving your complexion healthy, radiant and flawlessly white. 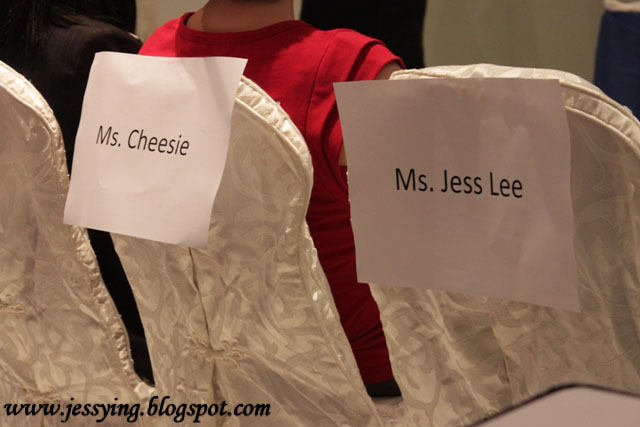 And well I attended their Pure Beauty Brand Ambassador - Media Announcement Workshop just recently together and I was arranged to sit with Cheesie at the front row. 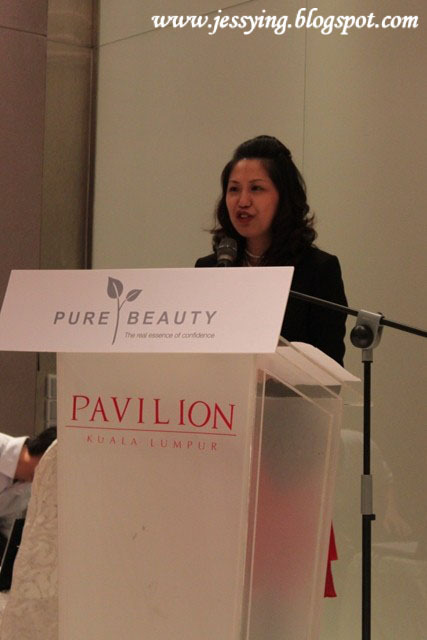 Speech by Ms Jessica Ng, the Marketing & Development Director of Watsons Personal Care Stores Sdn Bhd. 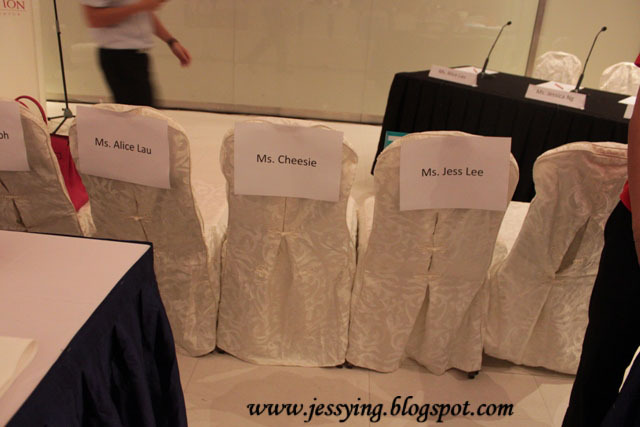 Well the main agenda of the event was to of course to announce that Fish Leong was the their first brand ambassador for the Pure Beauty Skincare product range. 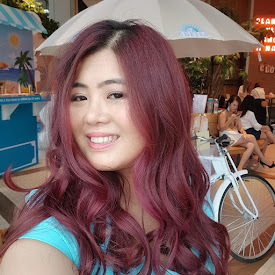 This award winning Malaysian songbird has naturally flawless skin, natural beauty, vitality, radiance and confidence which makes her the obvious choice to endorse the Pure Beauty Brand. Apart from that, members of media were shown a preview of Pure beauty TVC and Mag Ad before it was shown to the public. A group photo of Ms Caryn Loh,Merchandising & Planning Director of Watsons, Jessica Ng, Marketing & Development Director of Watsons and Pure Beauty representative and Ms Alice Lau the Pure Beauty Senior Brand Manager. 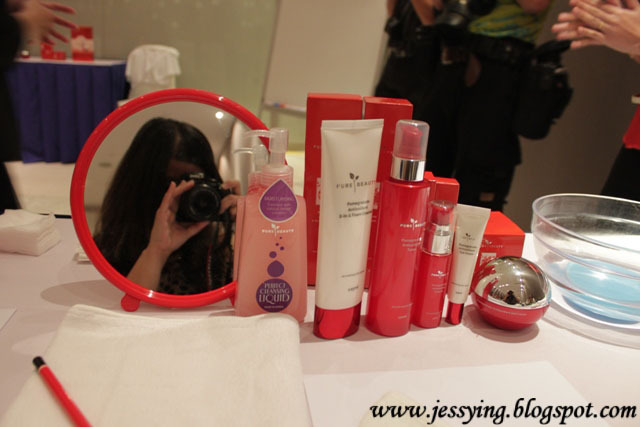 After the events, there is a hands on workshop for members of media for us to try the products on the spot. 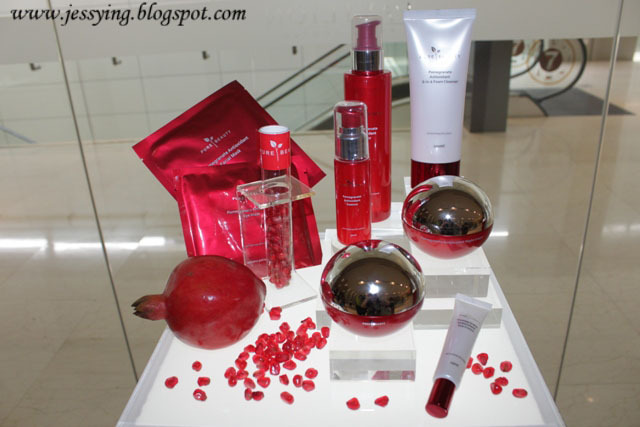 Ms.Vivian Loo, BA Manager will shared with us the right steps/ways to use Pomegranate Antioxidant Skincare range. Of course I took this opportunity to try out this range for the first time too. 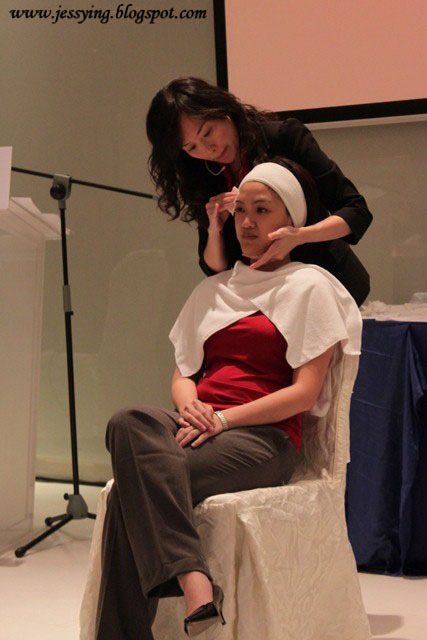 I removed all my makeup in order to join the hands on workshop. Let me share with you some thoughts of the products. 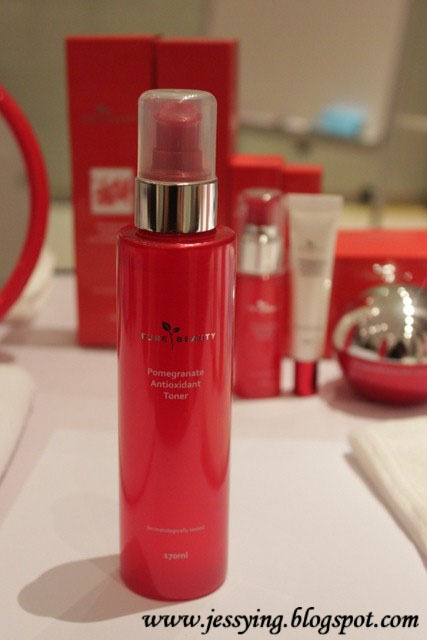 Pure Beauty has 3 types of cleansing oil to suits different skin type. I tried the Perfect Cleansing Liquid, it was quite okay to use to clean off my makeup on my face. A fluffy, skin-loving cleanser which doubles up as a mask, our 2-in-1 gel contains a natural complex of fruit and herbal extracts that gently de-stresses skin, unclogs pores and detoxifies to leave skin energized and refreshed. This creamy foam cleanser cleans up face quite well but surprisingly it does not have that much foam as I would expect which it is good. 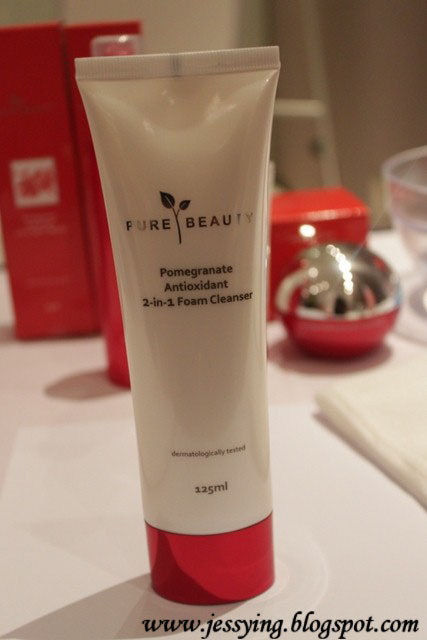 However as per the description above, this is a cleanser can be used as a mask too as it can helps to deep cleanse our pores too. I would think this cleanser is okay to be used as a cleanser, but if its used as a mask on myself I would think it is a bit drying for my dry skin. Made with a natural herbal complex that blends pomegranate oil with oriental herb extracts, this softening facial toner possess superb antioxidising capabilities that purify skin and reverse signs of aging and fatigue. It just takes a little... and your skin will become visibly softer, smoother and brighter every day. The texture of the lotion is a bit thick but after I applied this on with cotton, immediately I can feel my skin is properly hydrated from the dry effect of the mask. It is important to apply toner as it prepares our skin by balancing the pHs of our skin before before it's ready for nutrients absorption. it has the renewing power of nature in their treatment essence. Formulated with a herbal complex made from mulberry root, rice, green tea and pomegranate oil, the essence helps your skin cells regenerate faster while detoxifying and reversing the signs of aging. With a clean slate, your skin radiates youth and vitality, day after day. 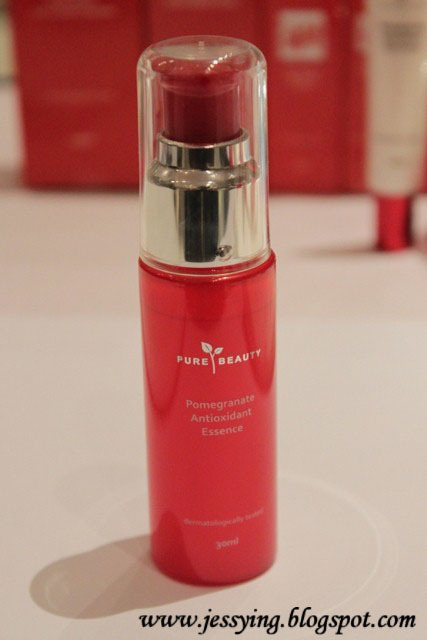 This serum would definitely suits all skin type as it is watery in texture and easy to absorb. 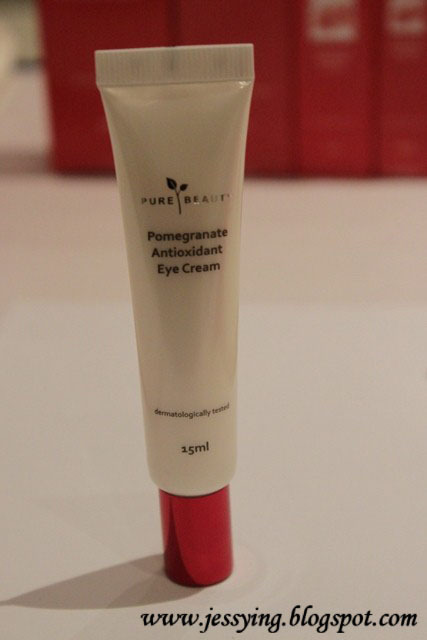 This luxurious eye cream combines the outstanding nourishing power of natural vitamins, pomegranate oil and fruit extract with a unique formula that fights dark circles and puffiness. As it gently hydrates and invigorates the eye area, it leaves your eyes feeling energised, bright and full of youthful sparkle. This eye cream comes in gel form and very light in texture. Very easy to absorb as well. 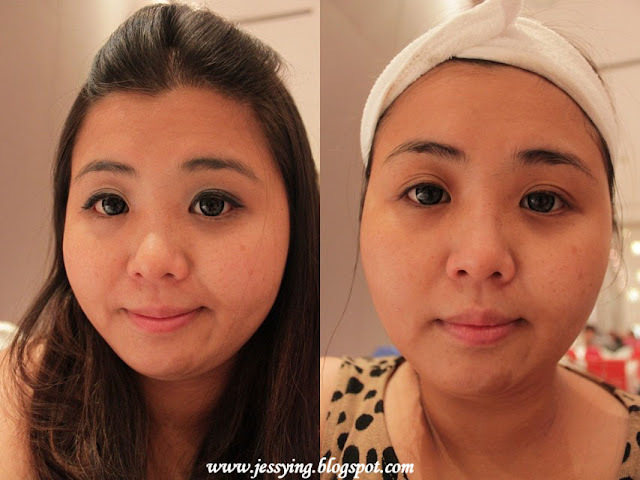 Oh btw do remember to apply eye cream first before moisturizer as you would want to have oil seeds on your eyes right! Your skin can repair itself, but our invigorating gel cream gives it a helping hand. Formulated with a natural herb complex made from mulberry root, rice, melon, green tea and pomegranate extract, the cream penetrates deep into you skin to amplify natural regeneration mechanisms that restore energy and radiance. 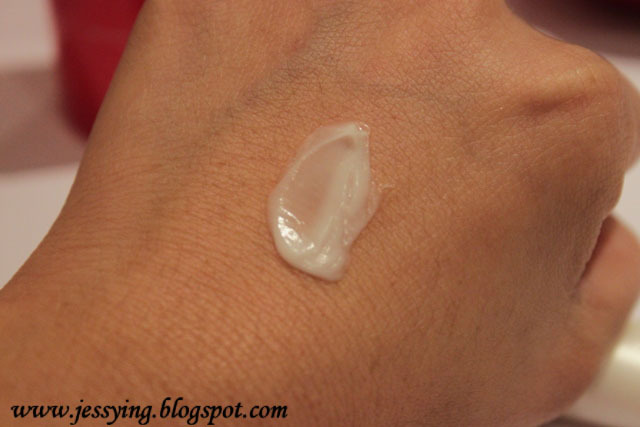 This gel cream is very light in texture and can be applied for day and night for people with oily skin. 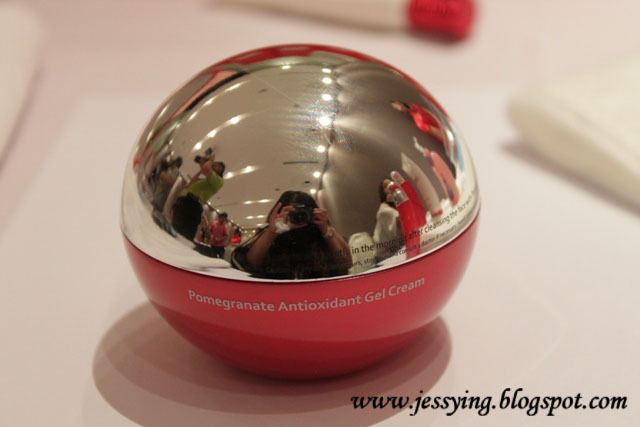 And as I mentioned earlier on, I am someone who has dry skin, therefore this product is advices to be apply only for the daytime and apply their Pomegranate Antioxidant Night Cream at night time. 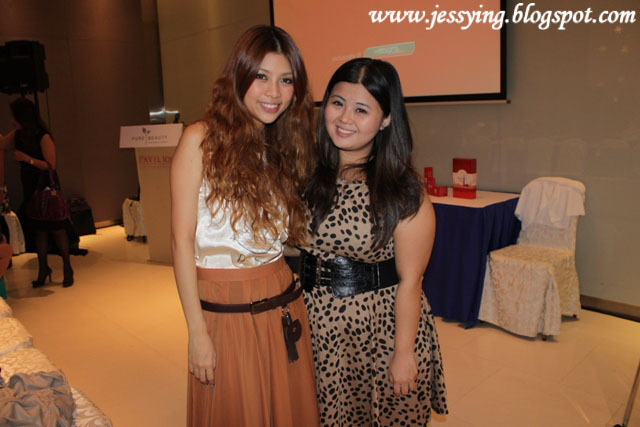 And finally a picture of myself with Chessie :) Ah.. I also want to have her beautiful mermaid hair! 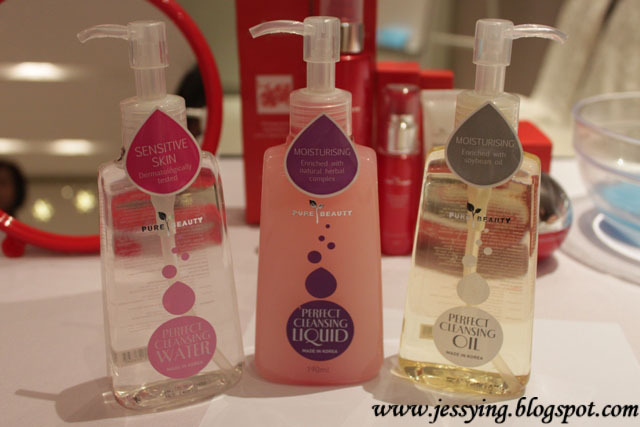 So do check out this range at Watsons, as this is a brand which will be exclusively carried at 216 Watsons store nationwide! wau!!! i pun adore her mermaid hair tu!! gorjes!! !